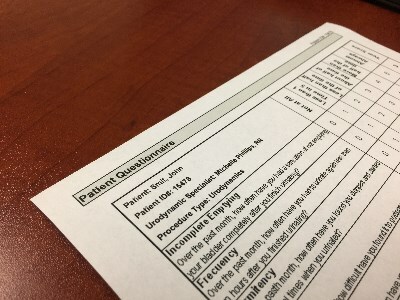 One component in the assessment of patients with lower urinary tract symptoms is a screening questionnaire to better understand a patient’s disorder. This part of the process is especially important because the replication of symptoms during more invasive testing is critical for both diagnosis and treatment. However, there are many types of urodynamics incontinence screening questionnaires. Here, some of the available options will be discussed and summarized.